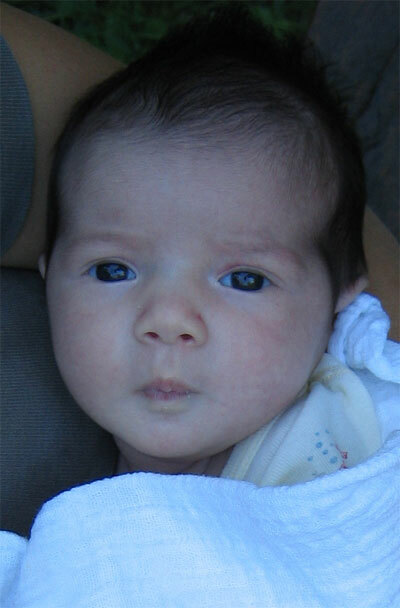 Charlotte Aurore Olga Chanezon was born in Paris Wednesday the 11th of august 2004 at 22:57 GMT. She weighted 3.6 kg and measured 51.5 cm. Here are a few pictures from her first week, and some from the few weeks after that. The best album though is Charlotte in august and september 2004, a mix of pictures from my digital camera and from Dorothee's analogic camera. Dorothee's pictures are much better and she took many great shots of Charlotte.